A. I will run with that open question and insert a sermon I was saving for just the right time…. I’ve learned that life and transformation are one and the same. To live is to grow. To grow is to be transformed. The final transformation is what you call death. Every particle undergoes a change from being fed to being food; a change from gaining nourishment from the soil to enriching and feeding the soil, the host for other lives. 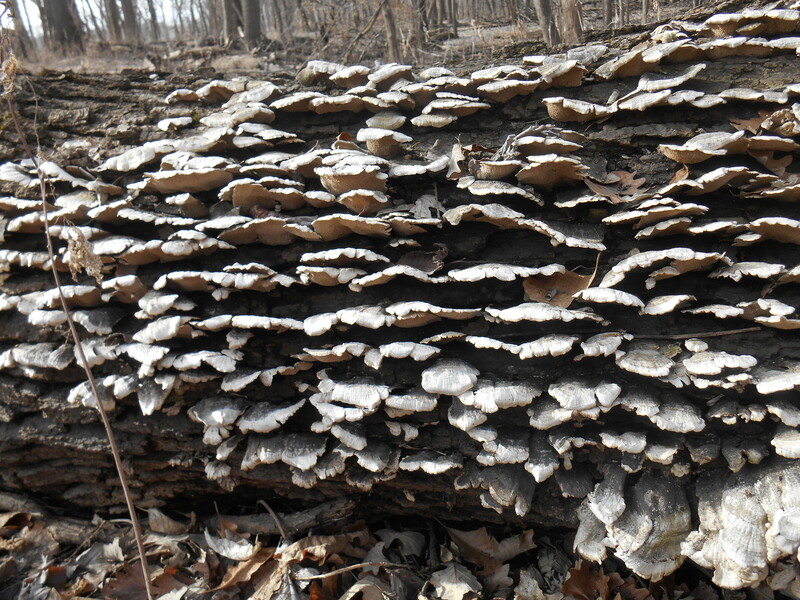 Have you not seen the beautiful shell-like fungus clinging to and feeding from the body of a downed tree in winter? The youthful vigorous sapling that springs from the stump of its parent and is nourished by it? All of life is maintained and supported by this endless cycle of life, death, life. This is the physical plane of existence, the plane you study with your science and scholarly studies, your finely tuned instruments. Now, for the plane of existence you humans can’t see: Here there is no death. All is interwoven into a magnificent fabric of consciousness too fine to measure. Every part of the whole affects every other part of the whole. There is no way to measure where the energy of your aura begins and where it ends, if it does end. Of course, it does not end….even with the death of the body. Your energy continues, it overlaps, mingles, interweaves with the unseen energies of all that is; with trees, grasses, soil, rocks, every sentient being on the planet. Every thought and feeling that flashes forth in your mind is made of energy. You are energy and each thought alters the fabric or web of all that is for the better, or otherwise. Which do you choose? Life is the greatest gift, life is to be cherished, life is to be lived full out with every particle of your being. Put down roots, allow the core of the earth to pull them. Reach toward the sun, breathing in the fullness of love that is your birthright. ← What did it feel like to grow from an… acorn?